The frustration of calling a contact centre and being faced with a string of voice menus and options may not be the best experience, especially when your customer is using a mobile or smart device. To give customers the mobility and access they need. Enghouse Interactive has introduced Mobile IVR Navigator; which quickly allows a user on any device to participate in a selfservice session through a mobile app. The app visually navigates customers through your customer service options seamlessly offering your customers a better end-user experience and reducing customer frustration. There are officially more mobile devices than people in the world, home to 7.2 billion gadgets and with people spending more time using their smartphones for surfing the web, checking social networks or playing games than making phone calls. The need to provide your customers with an app experience is more important than ever offering a mobile IVR service via mobile devices allows users to participate more easily in self-service options on the go, and, most importantly, at their own convenience. Increase customer satisfaction: Allow customers to visually access their preferred communication channel and view availability/wait times for each. Reduce call times: Assure customers only connect once an agent has been secured through virtual queueing. Use pre-interaction time to capture key information. Increase the number of correctly-routed calls: Reduce the number of times callers “zero-out” to bypass voice menus by making IVR navigation more user friendly. Reduce quantity of calls into your contact center: Provide a more intuitive, visual self-service option that entices customers to handle more inquiries through agent-less channels. Increase IVR platform capacity: Add visual navigation capabilities without reducing voice capacity of your current IVR. 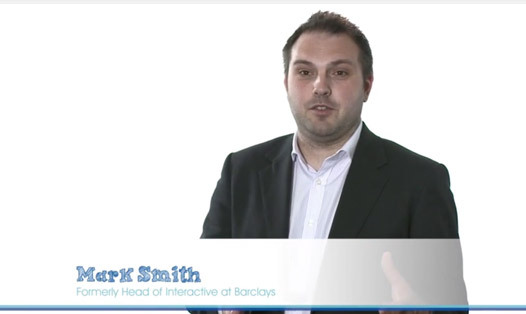 Mark Smith, former Head of Interactive at Barclays explains why the mobile is so important to the contact centre. The company also offers new mobile capabilities, which are marketed as Mobile IVR Navigator, a name that doesn’t do justice to its capabilities. Rather than providing interactive voice response per se, it enables users to develop mobile apps for customer self-service and supports seamless transfer to assisted service if customers are not be able to complete interactions in the app. Enghouse Interactive’s Mobile IVR Navigator is an innovative new mobile application that visually navigates users through an organisation’s customer service options. Using an web-based connection to any Enghouse Interactive Communications Portal IVR call flow, it presents options to users via their smartphone, tablet, or other mobile device. With no telephony resources required, the mobile IVR platform operates parallel to voice platforms without reducing capacity and enabling customers to take advantage of multi-media interactions anywhere, anytime. Enhance the self-service process for customers by providing a visual alternative to navigating IVR menus. Unlike traditional voice solutions that can only speak one option at a time, our mobile IVR solution displays a full set of menu options on a device’s screen, allowing users to quickly choose the path that is right for them. Standard navigation tools, such as a back button, enable users to freely navigate menus and travel down multiple paths—answering multiple questions—in one interaction. Educate customers and enable them to find the right information on their own—all through one portal. Your additional self-service resources, such as FAQs and knowledge articles, can be accessed through the mobile IVR platform, bringing answers literally to customers’ fingertips. Quick and easy access to information available 24/7 makes Mobile IVR Navigator an obvious choice for user-friendly self-service. Allow customers to initiate agent-assisted service anytime through their mobile app. Customers can view current wait times for multiple communication channels, and select the method that best fits their needs.